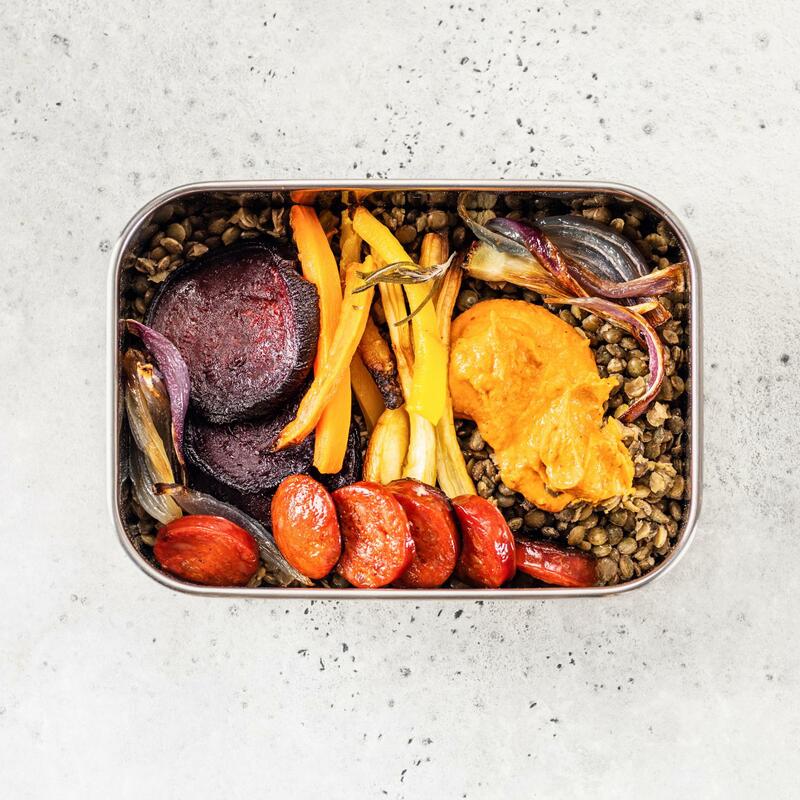 Mix the lentils with 3 tbsp of the pepper & tomato sauce, transfer to a container ready for a take-away lunch. Add 150 g of roasted vegetables. Heat a dash of oil in a frying pan. Gently fry the chorizo until crispy, drain, spread on top of the roasted vegetables. Prepare the lentils and the pepper & tomato sauce approx. 1 day in advance, cover and keep in the fridge.